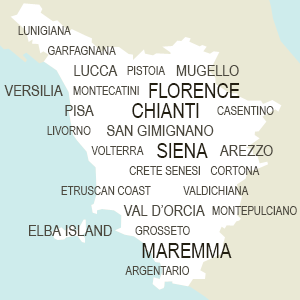 Montepulciano is located near Pienza, on the border between Val d'Orcia and Valdichiana. It's renowned for the excellent wine production of Montepulciano wine. The historical center has been developed along the crest and follows the long main street that goes from Porta al Prato to Piazza Grande. Just outside the city center there is the impressive Temple of San Biagio, perfect example of late-Renaissance architecture. Luxury accommodation set in a noble building in the center of Montepulciano. It offers rooms with original frescoed ceilings and unique design, all with a relaxing sitting area and a comfortable sleeping area. This hotel is situated in Montepulciano, world renowned hill town near Siena for its food and wines. Rooms are all furnished with attention to the smallest details and excellent homemade cookies are usually served for breakfast. If you're looking for a hotel to explore the beautiful landscape of Val d'Orcia and taste both local products and the renowned Vino Nobile of Montepulciano, this hotel with its bright-coloured rooms and warm atmosphere is the perfect place for you! Surrounded by olive groves and vineyards, Albergo il Rondò is located within walking distance from Montepulciano. It has nice gardens and free Wi-Fi Internet Connection. Located near the city center, this 3 star hotel offers large and quiet rooms. It is equipped with wellness center, business center, as well as restaurant and bar. Grand Hotel Milano is located in Chianciano Terme a few steps from the Salone Sensoriale. Rooms are comfortable and the hotel restaurant's recipes will satisfy any taste. Recently renovated but preserving its 15th century charm, the B&B offers both rooms as well as small studio apartments in the heart of Pienza. Charming and relaxing, the rooms have views of the city and of the beautiful area. Breakfast is served in-room. Montepulciano has been the set for several movies in the past years. Recently it was the background for the famous American fantasy-vampire romance Twilight saga, and in particular for the film New Moon. There are in fact several guided tours of the city and surroundings showing the places where the movies had been shot.